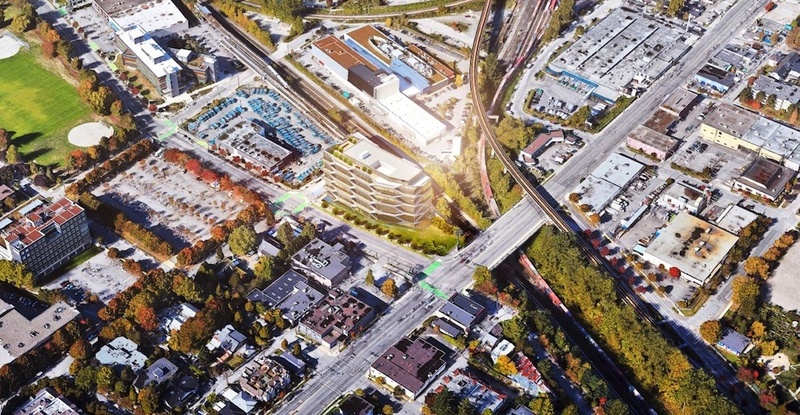 The City of Vancouver’s Development Permit Board has approved Nature’s Path Foods’ proposal to build its new global corporate headquarters on a large site next to SkyTrain’s VCC-Clark Station in the False Creek Flats. The new mass-timber office building will be located at 2102 Keith Drive — the northwest corner of the intersection of Clark Drive and East 6th Avenue. In a meeting yesterday, planners with the municipal government green lighted the project, which did not require a rezoning as it fell within the site’s existing zoning restrictions for office and creative manufacturing. It aligns with the City’s 2017-approved False Creek Flats Plan, which calls for increasing employment spaces from 8,000 to 22,000 jobs – in healthcare and the creative and tech industries – and building new homes for 3,000 residents on the Flats over 20 years. “As a globally recognized brand that is a leader in organic farming and sustainable food product design and development, Nature’s Path has been confirmed as a Creative Products Manufacturing business entity by the City,” reads the application by Canadian design and planning firm DIALOG. However, the new office building approved is larger than the proposal initially submitted. The building will have a height of 147 ft with 10 storeys and a total floor area of 167,492 sq. 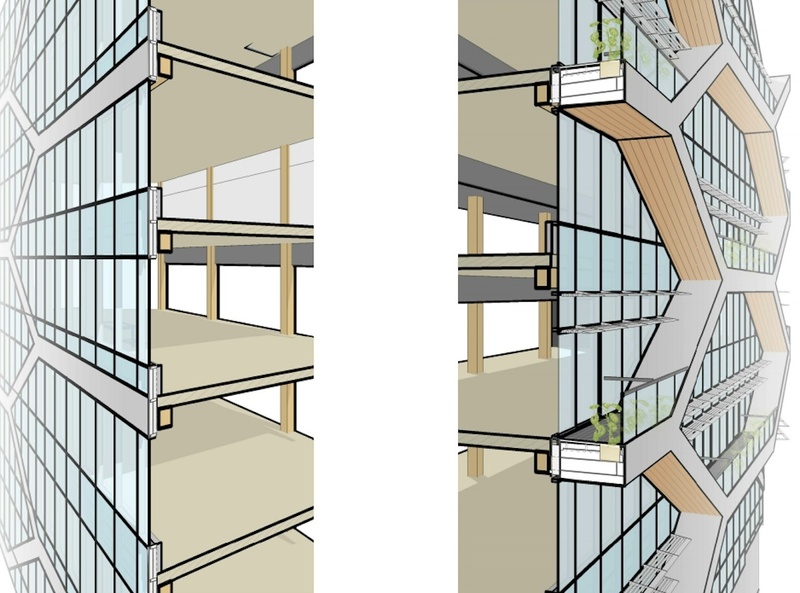 ft. — up from the first proposal of eight storeys and a total floor area of 125,000 sq. ft. It can accommodate Nature’s Path Foods’ long-term expansion, with enough space to accommodate nearly 2,000 employees in the future. 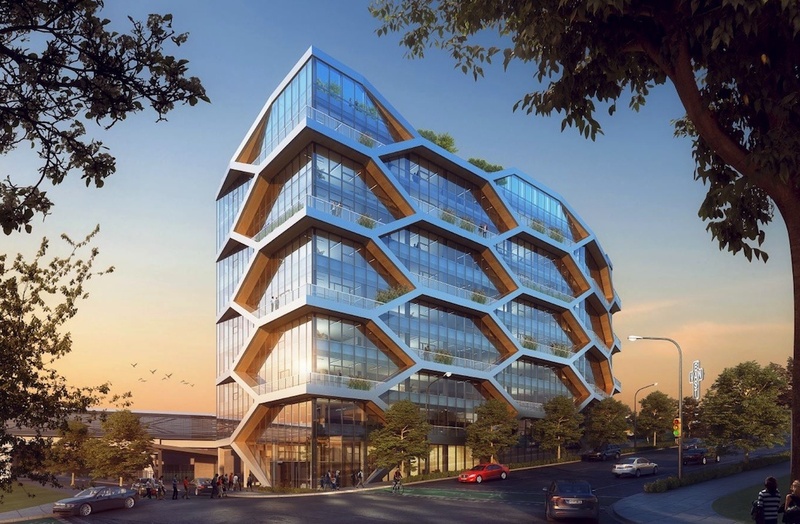 DIALOG has provided the building with a “cellular” appearance on the facade that wraps around the building and a large open-air rooftop amenity deck for workers. Ample landscaping on the easternmost area of the development site provides a respectful buffer for the East Van Cross landmark on the eastern end of the city block, with some of the sightlines protected by the sculpting of the building’s southeast corner. Given the site’s adjacency to SkyTrain, the office building will only have 187 vehicle parking stalls within the underground levels. Nature’s Path Foods is currently located in a 22,000-sq-ft office space across from Bridgeport Station in Richmond, which has been its home for more than three decades. Approximately 500 people are currently employed with the company, with most of the jobs located in Richmond. 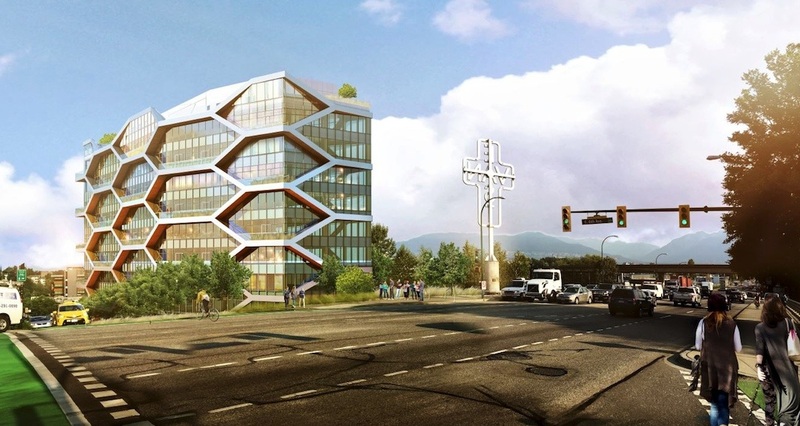 When the new Vancouver office building is complete, it will vacate its Richmond premises. 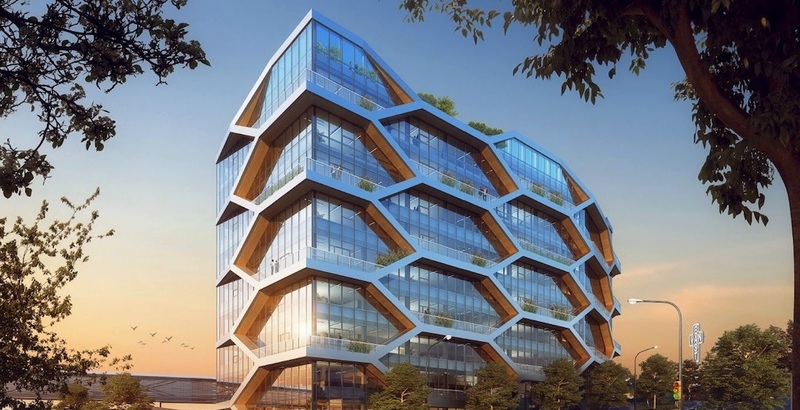 The organic food company’s new Vancouver headquarters is just one of many major office and creative industry developments planned for the False Creek Flats area. For instance, PCI Developments’ future plans alone for the area along Great Northern Way — close to the Nature’s Path Foods site — entail six office buildings totalling about two million sq. ft. of office space by the late-2020s.